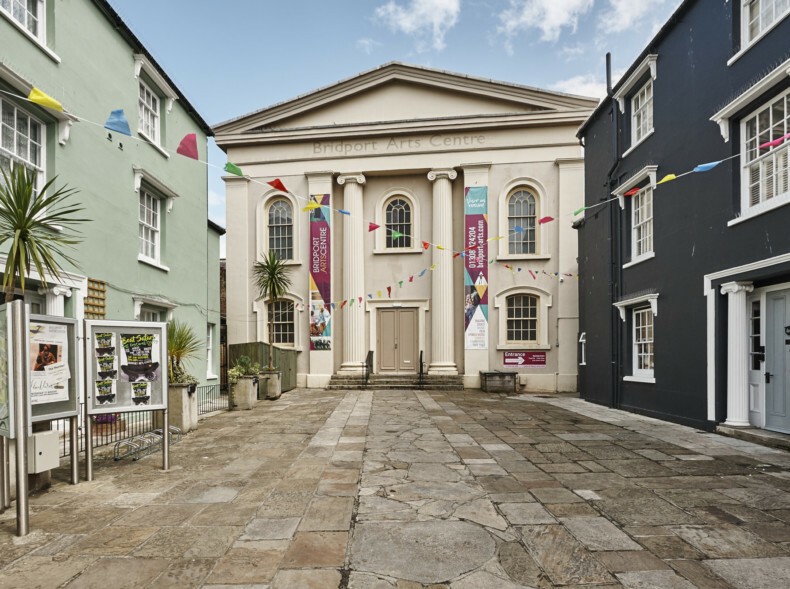 Bridport Arts Centre was originally a Wesleyan Methodist Chapel and School House, built in 1838. 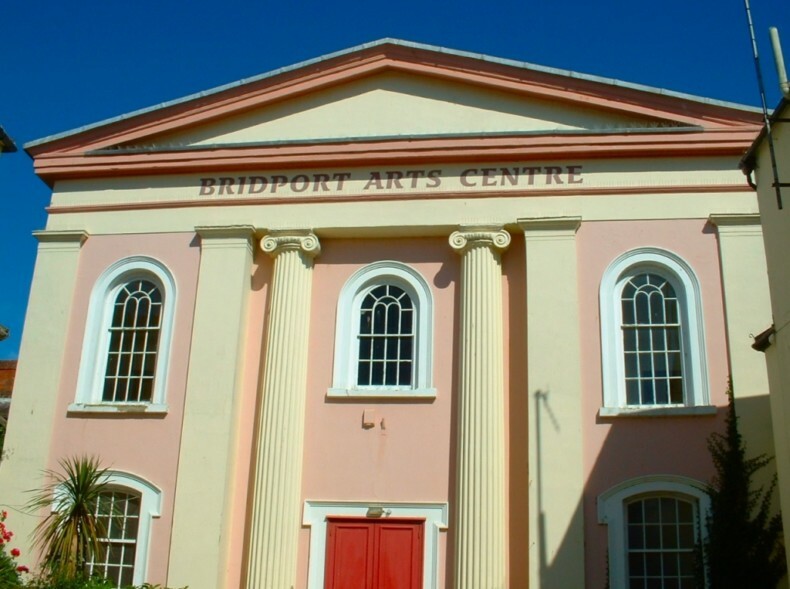 The site was bought in May 1973 by The Bridport and District Arts Society, for use as a rehearsal and meeting space for their events and for staging professional and community productions. 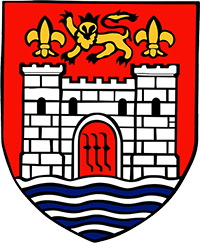 Led by Peggy Chapman-Andrews, whose staunch belief in providing a creative space for Bridport was the foundation of the decision to purchase the buildings, a determined group of local people slowly but surely created an Arts Centre. 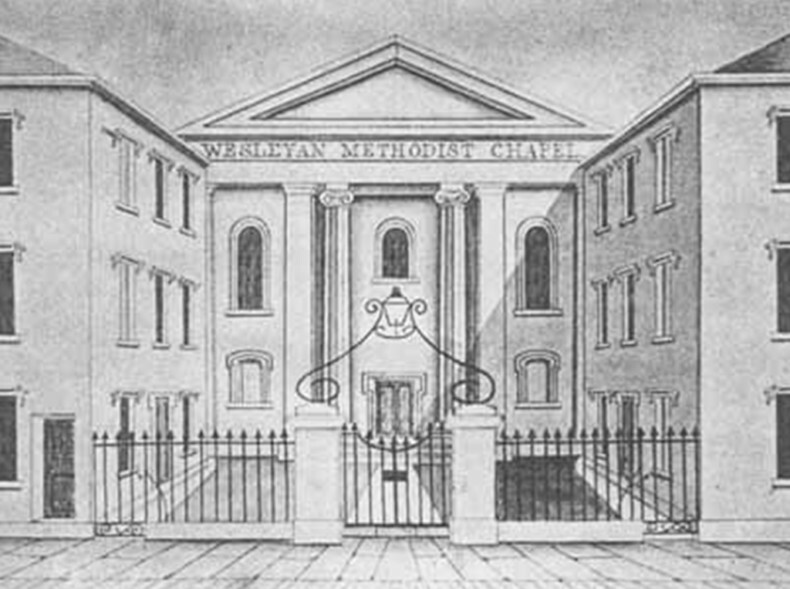 Work was done to turn the Chapel into a theatre space, and to renovate the dilapidated School House and create an exhibition area, a meeting room and kitchen. 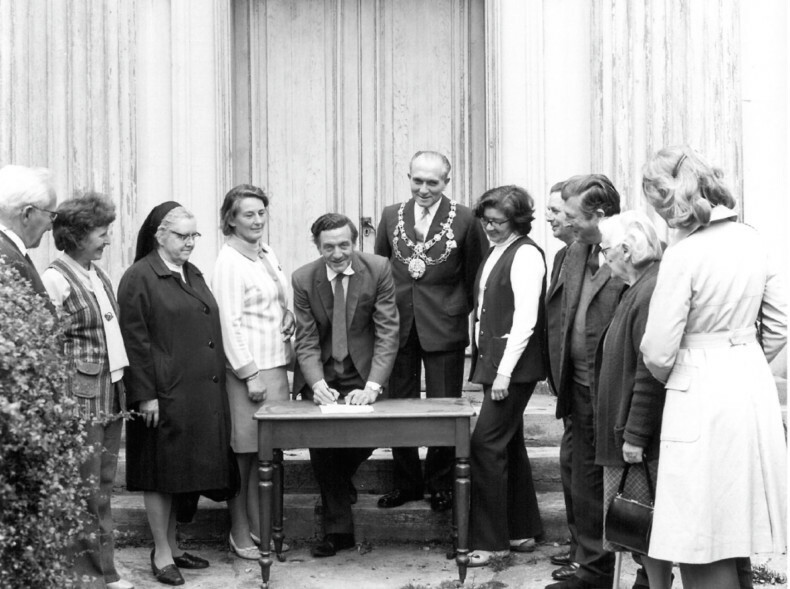 Work continued for many years, as funds allowed, and eventually the two buildings were joined together with an extension, unifying the site and creating the footprint of the Arts Centre as we know it today. The Chapel, now known as the Marlow Theatre, is a small scale performance space and seats nearly 200 people. Dressing rooms have taken the place of the Vestry and the organ loft provides storage for technical equipment. The old School House accommodates the Allsop Gallery, named for Kenneth Allsop, broadcaster, writer and one-time president of the Arts Society. The School House is also home to The Pantry Café and staff offices. 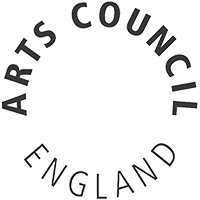 In 2016 the Arts Centre underwent an extensive refurbishment project to update parts of the building and ensure we could meet the expectations of contemporary audiences – one more chapter in the evolution of this building. Today, the history of the Arts Centre is evident as you walk around the spaces. The beautiful stone exterior of the School House greets visitors as they arrive, while the balcony of the chapel today provides seating for audiences. Sources: Where Angels Fear to Tread: How it All Began, by Peggy Chapman-Andrews.